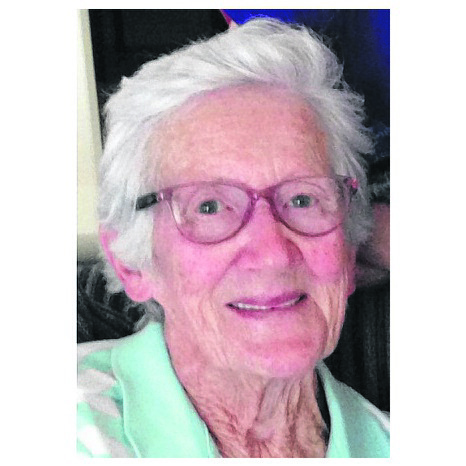 The Funeral Service for Mrs Betsy Alice Mollett of Embleton will take place in our Chapel, 1307 Albany Highway, CANNINGTON commencing at 10.00am WEDNESDAY (10.4.2019). Cremation will take place privately at a later time. 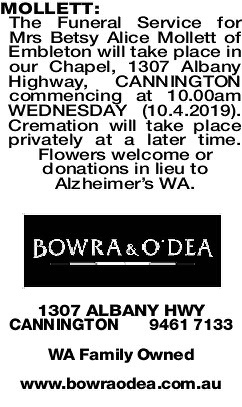 Flowers welcome or donations in lieu to Alzheimer's WA. 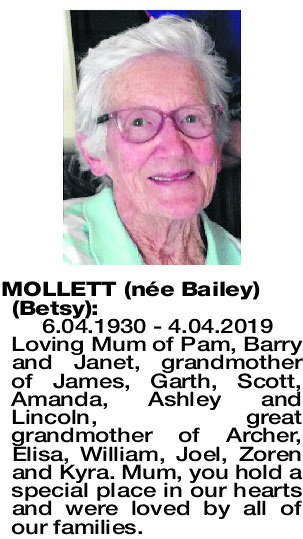 BETSY 6.04.1930 - 4.04.2019 Loving Mum of Pam, Barry and Janet, grandmother of James, Garth, Scott, Amanda, Ashley and Lincoln, great grandmother of Archer, Elisa, William, Joel, Zoren and Kyra. 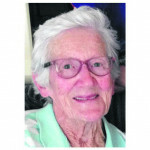 Mum, you hold a special place in our hearts and were loved by all of our families. 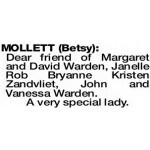 MOLLETT BETSY Dear Sister and Sister in law of Margaret and Don. 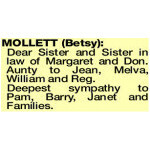 Aunty to Jean, Melva, William and Reg. Deepest sympathy to Pam, Barry, Janet and Families. Dear friend of Margaret and David Warden, Janelle Rob Bryanne Kristen Zandvliet, John and Vanessa Warden.